Where Did Saturn's Rings Go? Oh Saturn, you keep being the prettiest planet of them all. 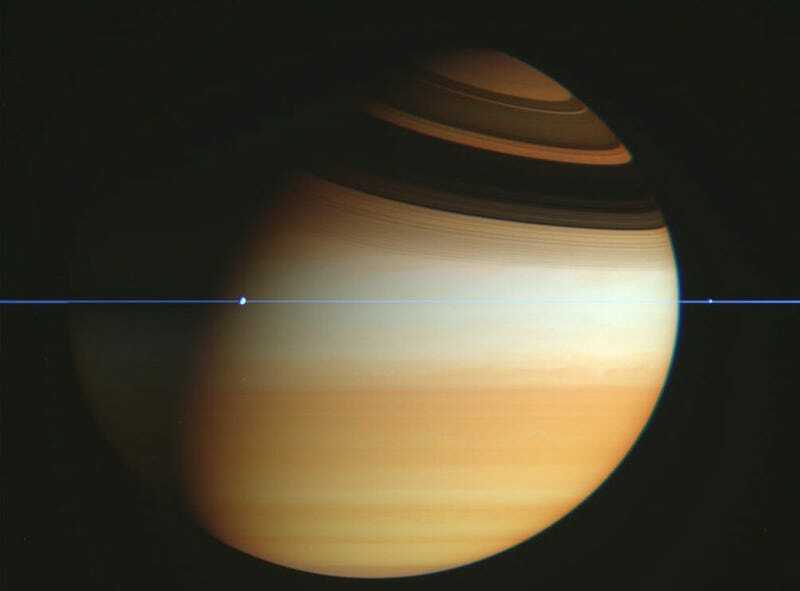 Even while Cassini crosses your orbital plane, and your rings become proportionally thinner than a razor blade. The photograph was discovered by Spanish amateur Fernando García Navarro, from the raw stream of images sent by the Cassini spacecraft in 2005. Awesome, in the actual meaning of the word.